TIRELESS, hard work in dedication of the community was a common theme throughout all of the local Australia Day awards presented at the Civic Centre today. 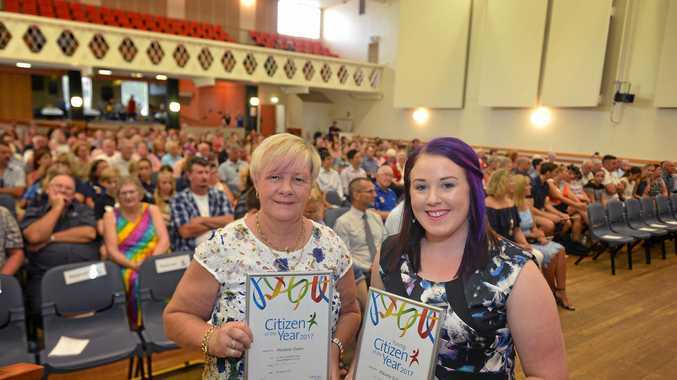 But the top honours, for Citizen and Young Citizen of the Year belonged to the extraordinary efforts of two Gympie women - Marlene Owen and Mikaela Calvert. Unfailingly humble as they collected their awards, both used their speeches to reiterate the idea that the community is only as strong as the work it's citizens put in. "As a young person in Gympie, I often hear at the salon 'There's nothing to do here, it's so boring'," Ms Calvert says. "But if you actually go out there's so much you can do for this community, it's what I love to do." A fierce advocate for the rights of regional Australians, Ms Calvert has spent an immense amount of time organising and running events to promote and raise awareness for our farmers. Now turning her attention to the plight of women in the farming industry, her next event will be a dinner at the Civic Centre in February. "The work of rural women has always been undervalued," she says. "IT'S time we heard from the mothers, grandmothers and sisters who work just as hard as anybody else." Describing her award as an "overwhelming experience", Ms Calvert downplayed her achievements, and says it was more about the betterment of others than herself. It was a sentiment shared by Citizen of the Year, Marlene Owen, who initially considered turning down her nomination. 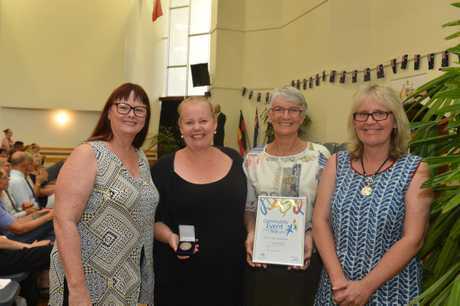 Working around the clock to provide assistance to families who are battling the horrors of cancer, Mrs Owen said the job she does was only possible through the assistance of her team at Supporting Chemotherapy in Cooloola. "It's a community of us, not just one person, not just me," she says. "In order for change to happen, it takes all of us to do something, this was never something I could do on my own." In an emotional speech, Mrs Owen said said she had been volunteering her time for decades, starting with the Red Cross at the age of 25. 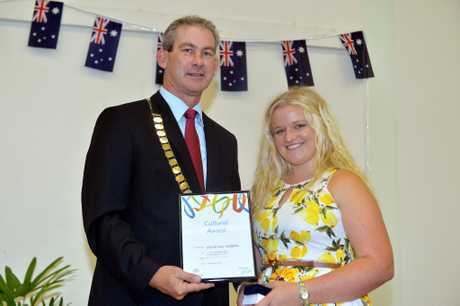 She also used her speech to thank the late mayor of Gympie, Ron Dyne. "I was there constantly with Ron trying to get us a block of land to build units for cancer sufferers," she says. "Ron and I had a very good relationship, he wasn't game to say no to me - I honour him for that, because he saw the need that I saw." AFTER the Australian Early Development Census released figures showing a rise in developmental vulnerability in the region, it was clear to a hard-working group that families needed connecting with services, information and skills to give their children the best possible start to their education. Led by Kim Walters and a support of Kerri Eaton, Marion Sillett, Julie Wright, The Little Kids Day Out has been held annually for the past 3 years and continues to grow. More than 2000 adults and children attended last year with the help of 260 volunteers from 84 local organisations, schools, child care centres, support agencies, art studios and businesses. The event recognises the importance of the early years to a child's development and school readiness, while promoting local support services for families with young children. 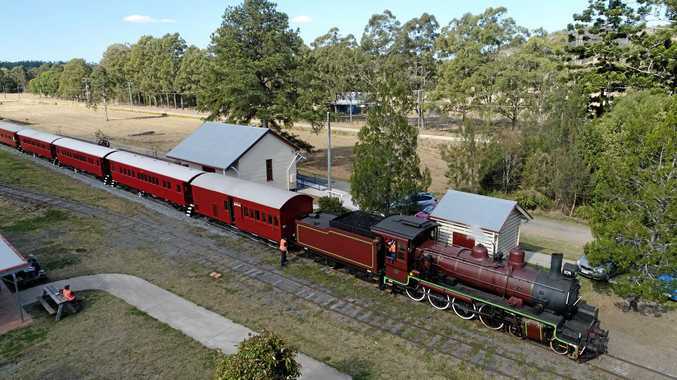 The Little Kids Day Out was also selected as a finalised in the 2016 Healthy Towns Awards and has received recognition from the Australian Early Development Census. AS a talented trumpeter, singer, guitarist and composer, Jamie-Lee has not only represented her school, but was awarded a Distinction in Western Popular Music through the University of the Sunshine Coast HeadStart program. The community-minded youngster also won the QUT Scholarship for Elite Performing Arts, which is only offered to two people each year and has recorded four original singles and performs regularly in Rainbow Beach and Eumundi. 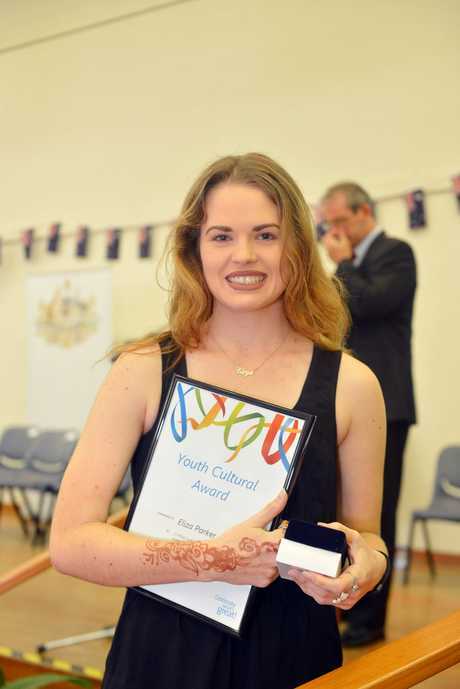 AS A member of all five James Nash State High School cultural groups, Eliza is a leader and role model for students. The talented student plays a range of instruments, has dedicated herself to gymnastics based sports Acro and has helped organise initiatives including McGrath Pink Socks Day, Biggest Morning Tea and James Nash Day. Eliza was also invited to be part of the State Honours Ensemble program and received accolades at the USC Science Research Awards. DARREN has been the backbone between providing an essential partnership between Gympie Rugby League, local primary and secondary schools and the Brisbane Broncos. This partnership has seen rugby league grow in our community not only as a sport, but also as an avenue for young people to learn about healthy relationships through awareness of domestic and family violence. Darren's connection to the Brisbane Broncos has seen him bring many high-profile players to Gympie. 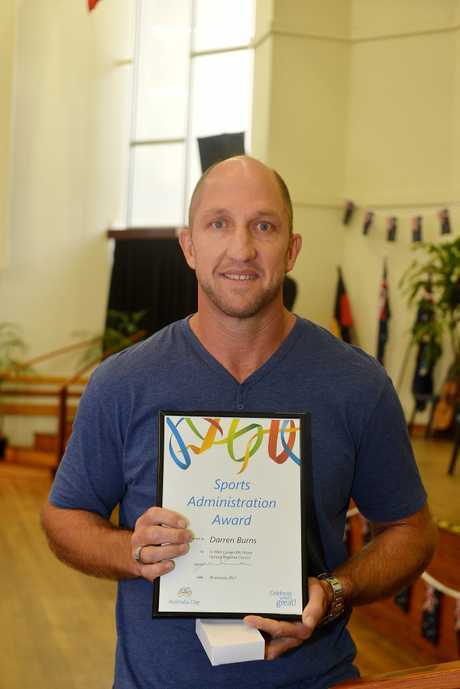 Darren has been an integral part of the Gympie sporting scene and acts as a role model to not only young rugby league players but to athletes and students. 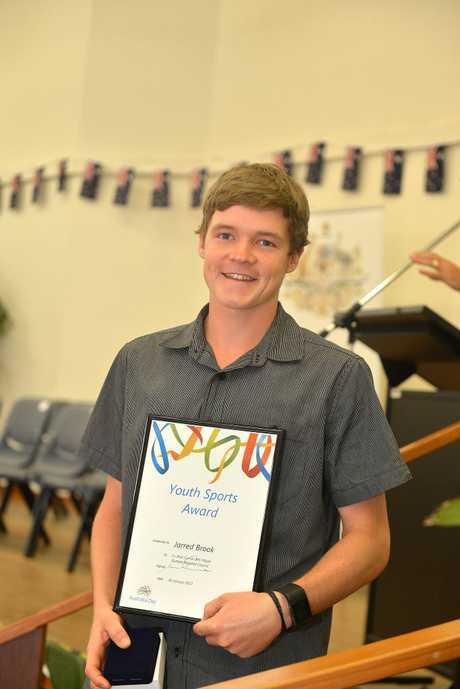 AFTER an unstoppable season including taking out the American Motorcyclist Association Dirt Track Horizon Award, Jarred Brook has also claimed Australia Day award honours winning the Youth Sports award. Last year Jarred competed in a number of motorcycle dirt track racing events through out Queensland and New South Wales, where he won three Australian titles, six Queensland state titles and three New South Wales state titles, as well as numerous open meetings.